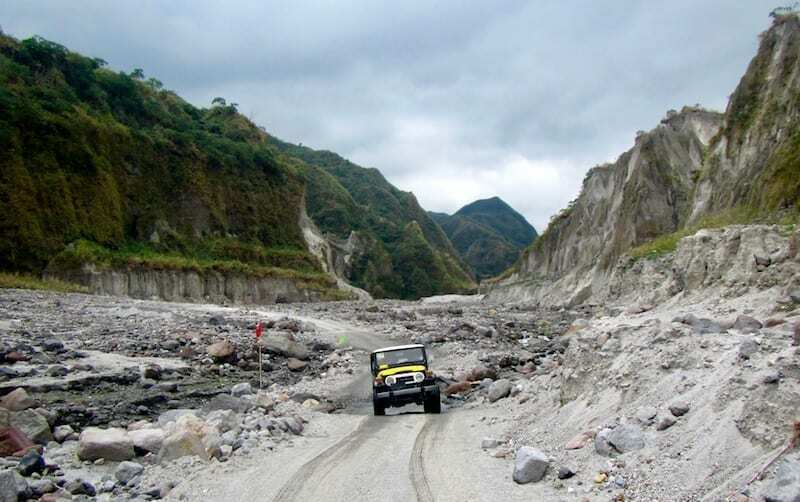 There are two ways to get to the crater lake of the volcanic mountain, Mount Pinatubo in the Philippines. One was fairly reliably accessible, and the other depends on whether heavy rains could make it less safe. 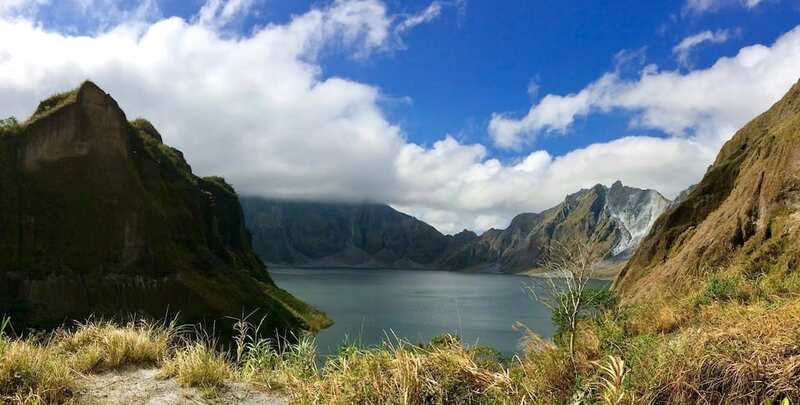 When we discussed the plan to trek up Mount Pinatubo, my friend was concerned about potential rains causing the route to be closed. So we opted for the first route. We drove out early in the morning (‘super’ early for me – not a morning person) to reach the place where my friend had arranged for a package excursion up the trail. 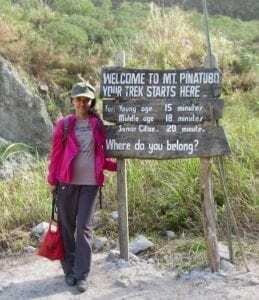 We had had a day’s break after the Taal expedition, for Chinese New Year – in the hope that the added time would allow my friend’s knee to further heal, and allow her to do the full hike. Alas, while it did not get worse, it wasn’t much better. So we arranged to be taken as close to the summit as possible by jeep. She felt she was up to hiking the remainder. This was the first time I had ever gone to a lahar field. I have heard about them, from a random geography something or other that my memory retained in its eclectic library of things learned. 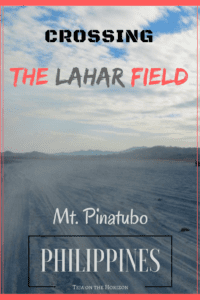 But I did not quite know what a lahar field was like. 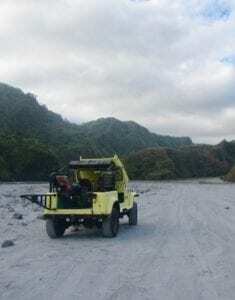 Lahar is not quite ash. Nonetheless, it was certainly what it looked like: a flat, wide, barren, grey field of dusty ashiness. Clouds of it remain hovering in parts, stirred up by a succession of jeeps zipping across the same well-worn routes. A mimicry of the volcano’s breathing. If the jeeps had any suspension at all originally, there was no sign of their existence. Tearing along the hard packed ground, we jounced and bumped and jostled, hanging on for dear life. But not too tightly, because that’s a sure way to get smacked against the cage bars. The trick is to stay loose but firm when pushing away from being thrown to some kind of hard surface. 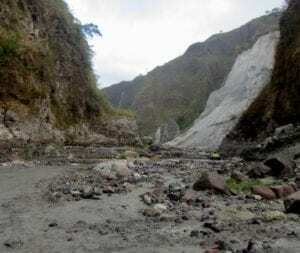 Easily distractable by curious sights (such as the sheer faces of the rock outcrops flanking the lahar field) I did have fleeting images of being knocked unconscious long before the hike actually started. Which would make for a much shorter, rather ignominious hiking story. But potentially funnier. Assuming I survived brain damage. It was a thrilling drive. I bet Frodo and Sam might have appreciated a Filipino jeep. Bit conspicuous though I suppose. The strange attraction of wasteland. A plain of utter barrenness, dry and dusty. When the wind lifts, the ashen clouds waft into your breathing. 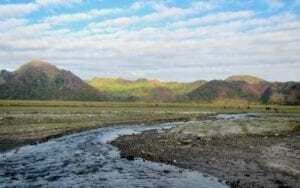 And yet, at the start of the drive, where the plain was watered by a creek peeling a shallow meandering ribbon from the flats, the sere landscape flickers to a hopeful green. And after, where the fields hold its fertility in jealous closeness in the absence of the weep of water, still somehow I found the sere and stern landscape oddly arresting. In places, you could see where transient channels had marked the courses of a rush of water, thereafter vanishing and abandoning the field like Persephone vacating Hades’ side. Grey wounds carved on his forbidding face, stoic in abandonment. Secretly yearning for the balm of water to return. This was a particularly wide section of the lahar field, making for incredible panoramic shots of the landscape. There are people living around Mt. Pinatubo. At this particular section of the route, there was a group of local children playing among the gullies and muds of the lahar field. If you look closely in the photo, you would see them in the left side of the panorama. 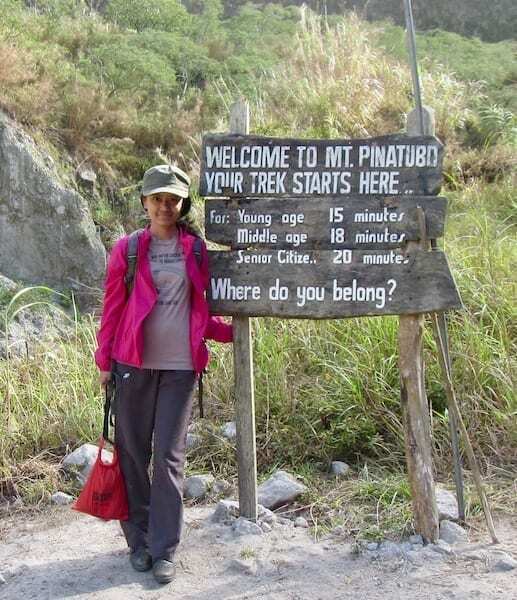 Before this, I had already been to other tourist destinations in the region. 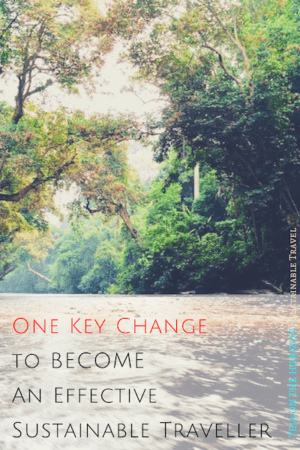 I had already experienced being accosted by child beggars in Cambodia and Indonesia, and knew to take it in stride. 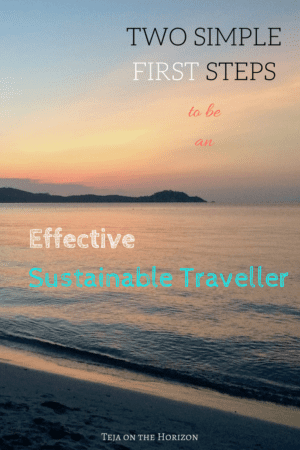 It was not something I really thought about, travelling with my family. I understood the pressures of poverty and I am cognisant of the dilemma of giving in to the crowding hands. But it felt different this time. Some of the children came over, all sooty and disheveled from their play, when the jeeps stopped and tourists got down. Clearly they are very used to the people passing through. They posed like pros for photographs. Some of the visitors give them money. This time I was travelling basically ‘on my own’. Something about that made me pay more attention – perhaps because my attention was not already consumed by the demands of the necessary family interactions? At the time I just observed all of it. The children weren’t begging, but something about it roused a conflict in my mind that is different, and possibly worse than observing child beggars. 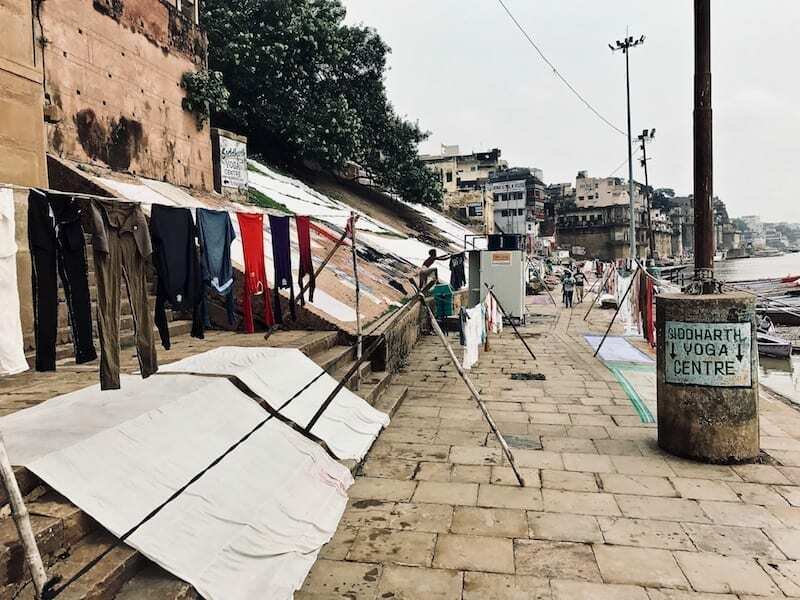 Maybe the steely defiance of the beggars, or their resignation – while it crushed me to see it in their eyes – still spoke of a denial for what they had to do. I can root for that resistance, that remnant of dignity. 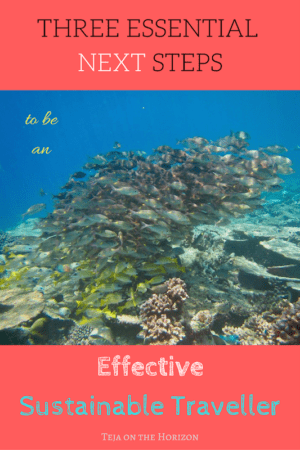 Acceptance felt worse, even – especially? – in innocence. Perhaps it’s wrong to feel that way. I can’t pretend to explain this feeling, only express it. After all, theirs is probably not a well-off community, and the donations are freely given. They are just playing and interacting with the tourists. Perhaps the jeeps stopped there on purpose, for this purpose – a wondering that lurked in my mind. Still, to see them come over so readily, as if this was the expected way to interact with outsiders, possibly with the anticipation of money, seemingly unaware of the power distance in the situation – it broke my heart a little bit. I didn’t give them anything. I couldn’t. Taking a photograph of them under the circumstances felt as if I would be using them as props for my travel. They were clearly willing. But I was the adult, and what I felt was right for them, was to let them come and play around us, without taking or giving anything. My instinct then was to respond to them as I would children in my own country – after all, I would not photograph them nor randomly give them money. I can’t tell you if that was the best choice. Just that it was my choice, the first time I had to answer this question for myself. 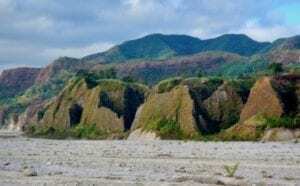 Near this location is a gap flanked by cliffs, where the Pinatubo lahar plain merges with a narrower trail of lahar leading up to the crater. There are groups that choose to hike from here on in. It does not seem like a difficult hike. The way is rockier, and somewhat less dusty – but a bandanna or balaclava would still be probably a good idea. We traversed this section by jeep, the better to nurse my friend’s knee. The way meandered, following the curves of the valley cut by fluid flows against the rock. Though we could not see any sign of it on the dry plain, the trail was wetter, damp in places. The trail could be done by jeep for much of it. Where it ended, and the hiking trail began, was where it opened into a wide vale. All of the jeeps parked here, lined up in a row as the passengers disembarked. So did we. The driver was to wait for us there, but we had a guide come with us up the trail to the caldera lake. The trail was not difficult. 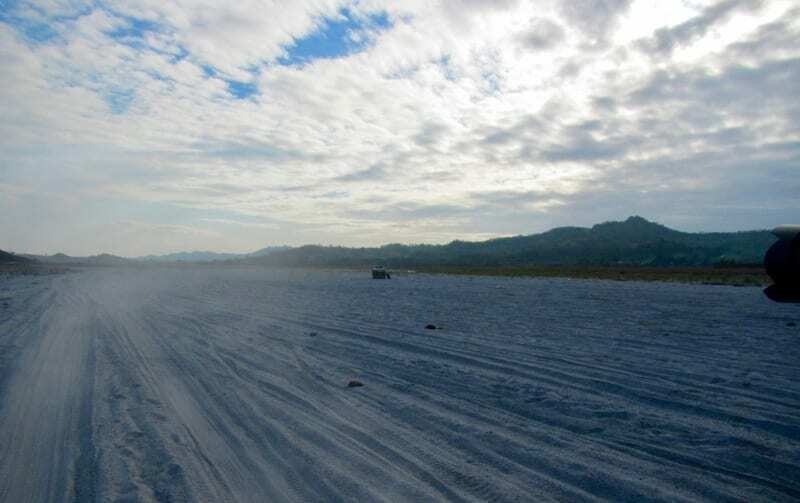 It looked like the same flow channel that washed wider down the slopes, before vanishing into the gullies down on the lahar plain, leaving the remainder an arid dusty grey field. Lined with cobbles and small boulders, it snaked its way up to the pinnacle by a small creek bubbling its way in the opposite direction. My friend found a stick from among the sparse shrub on the sides of the trail, which she used to assist her trek. I brought up the rear. The guide went on ahead, helping her cross or climb stretches that would strain her leg. It must have frustrated her, to be so awkward, when she had been somewhat a mountaineer once. The trail ended at the foot of some steps, marking the end. We climbed the steps and came to a sort of shelf that opened into a view of the crater lake. There was a railing that barred access down the slope to the shore of the lake. Apparently once you could have gone down to the water’s edge, but there is no more swimming allowed there. The viewing shelf around the crater is pleasant. There are benches constructed beneath spreading trees, and cobbled footpaths meander up and alongside the slopes to terraces to sit by and enjoy the view. Rock outcrops jut out all around, giving a lovely view in the non-lake direction. But the crater lake itself is the main attraction. Peeking through between the arms of the mountain, the water was a dark and deep blue-green. Ripples lightly flutter across the surface with a slight highland breeze, eddying beneath the travelling cloud. I guess this is why my friends are into mountaintops. These photos are absolutely gorgeous! Definitely, a beautiful place to get away from the craziness of city life! The caldera looks amazing. I missed going there the last time I was in PI. Thanks for the details and info – I’m hoping to go there next time. 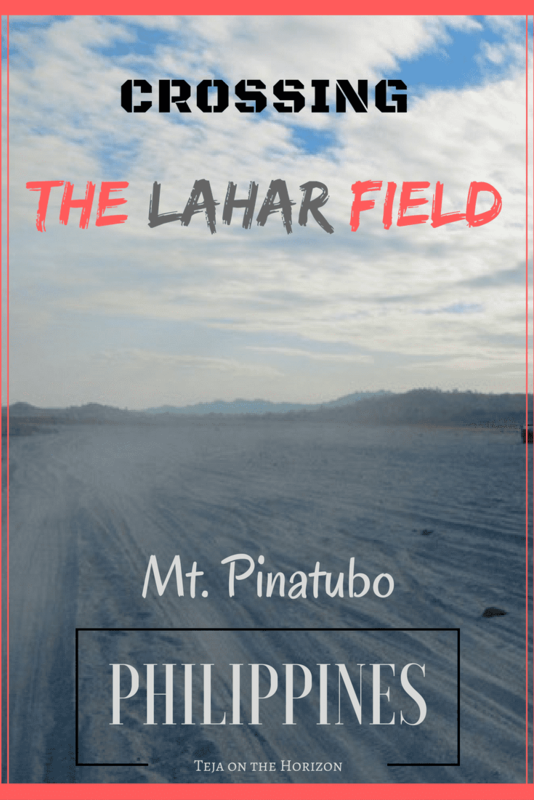 Pinatubo sounds amazing and looks gorgeous! I love hiking, this sounds like an amazing adventure for me. Thanks for sharing your great information and pictures.